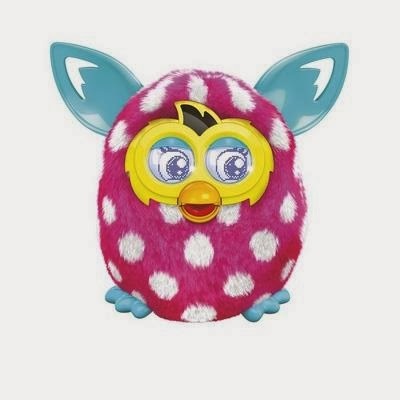 Mom's Musings: Furby Boom and Duracell Giveaway!! Power a Smile!! Furby Boom and Duracell Giveaway!! Power a Smile!! I am so excited to share this giveaway with my readers, and especially at this time of year! Our family had always bought the cheap dollar store batteries, because I thought it was better to pay less...what I have learned though is that I was actually paying more then I thought, because we were going through batteries like crazy in this house. Duracell has become a regular name in our house now. They last longer and I don't have to buy batteries as often anymore. Introducing Duracell Quantum, the world’s most advanced alkaline battery. With its revolutionary Hi-Density Core™ and proprietary PowerCheck™ power indicator, Duracell Quantum has been engineered to deliver the performance consumers demand. Duracell Quantum offers long-lasting power when it’s needed the most—whether its powering children’s toys or first responders’ radios, you can count on Duracell’s most powerful premium-tier battery when it just has to work. The Duracell Quantum Hi-Density Core stores more power boosters to provide longer lasting performance than ever before Duracell Quantum is the single solution for multiple device needs in a household working efficiently across high-drain and low-drain devices – from remote controls to portable video games Duracell is the only battery brand with PowerCheck on the cell for accurate reading of remaining power Duracell DURALOCK technology locks in power for up to 10 years in storage. To make this even better, we are going to be trying them out first in a new Furby Boom!! But don't tell my 11 year old!! Her birthday is on December 22, and we are always struggling to figure out what to get for her birthday when Christmas is just a few days away...This is going to be her big surprise this year!! A whole new generation of Furby critters is about to hatch, so dust off your Furbish dictionary and get ready to party with your Furby Boom creature! Your Furby has a mind of its own, and the way you treat your Furby will shape its personality -- so the more fun you have with it, the better! It speaks more English the more you play with it. Tickle your Furby, talk to it, and feed it with your finger. Play some tunes, pull some tails and party on with your Furby Boom creature! You can also download a free app to have a Furby Boom adventure and translate Furbish. Take care of your Furby, get virtual eggs and hatch and raise the Furblings! The Furby app is optional and works with iPad, iPod touch and iPhone with iOS 5.0 or later (devices sold separately). The app is not compatible with prior Furby generations. Check Furby.com for device compatibility. Requires 4 "AA" batteries (not included). Furby and all related characters are trademarks of Hasbro. iPad, iPod touch and iPhone are trademarks of Apple Inc., registered in the U.S. and other countries. I am not sure if I am going to regret the whole "Furby" thing or not, but I do know that Grace has been wanting one for a very, very long time!! I cannot wait to see her face when she opens this gift!! I have a Furby Boom and Duracell Gift Pack to give away to one of my lucky readers!! Estimated retail value is $80. I would LOVE to gift this furby! and batteries are a MUST around here! Ive made the same mistake, buying cheapos- its never worth it! I would like to win so I could give it to my youngest son, he would love it! Id give it to my step son..Im sure he'd love this! I would give it to my friend Sarah who wants to give it to her daughter. I would love to win because it's on my daughters Christmas list. I would love one for my DD. I would love to win this because my oldest daughter would love it for Christmas. I would like to win because my son really wants one of these. I would give it to him for sure! My friend's daughter would love this! I would like to win this and donate this to a local charity! It would make a little one very happy! I would love to win this for my little guys! I'd love to win it for my granddaughter. I missed the whole Furby furor in the 80s, gotta get one now! I would love to win this prize so my son can get his own furby for Christmas. I would give to to my daughter because she wants one. classic! great for my niece's birthday! My 5 year old niece would love it! It would be a gift for my daughter. I'd love to win Furby for my daughter. She has wanted on ever since her best friend got one. I'd like to win this for my grandson, for either Christmas or his birthday! 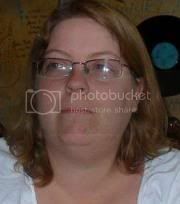 I would like to win for my daughter because she has been asking for a furby for Christmas! I would like to give it to my granddaughter for Christmas as this is on her wish list. I would love to win one for my daughter!! i want to win b/c my daughter has been begging for one. I would like to win this because I have been hearing so much about it. I would give it to my daughter. I would love to gift this for my son! I would like to win because this Furby is so colorful. My nephew would go crazy for it.